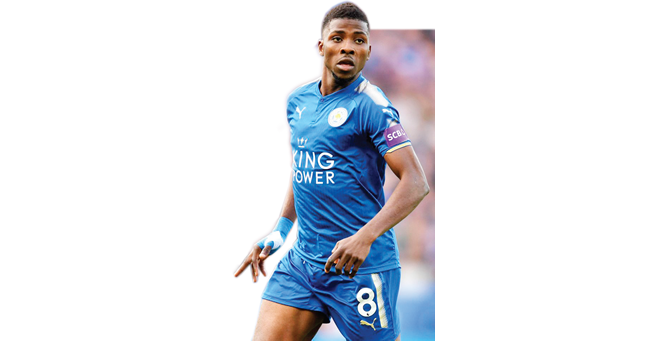 Ahead of today’s FA Cup quarter final match between Chelsea FC and Leicester FC, Chelsea boss, Antonio Conte, has warned his defenders to be fully alert while marking Nigeria international striker, Kelechi Iheanacho, as the coach classified the former Golden Eaglets World cup winner as the main Leceister City’s danger man. The Italian coach stated that his players would have to keep an eye on the Nigerian star that will be combining upfront with other Leicester top strikers Jamie Vardy, and Shinji Okazaki at the King Power Stadium. Conte said: ”We have special plans to try to defend well. For sure we all know the characteristics about Vardy. He’s a very clever player,” Conte told reporters. Iheanacho has been prolific in this season’s FA Cup having scored four goals in five matches.